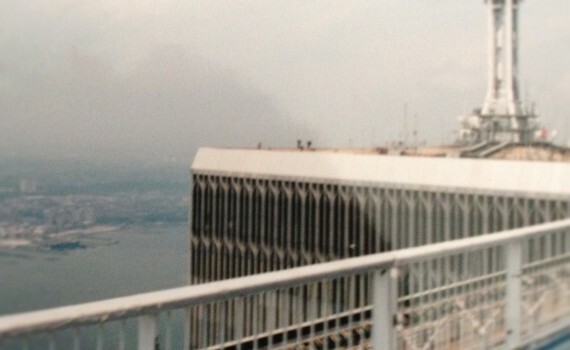 This week saw the 13th anniversary of the attack on the World Trade Towers and the Pentagon. The enormity of what happened on 9/11 will always stay with me having visited this iconis city the previous year. Thousands of people lost loved ones! The children who lost parents, the partners, wives or husbands losing their other half. The bravery and courage of the rescue services in search of survivors. As the days went by people walked around in shock then got angry and the free world declare war against terrorism. For those who lost love ones they had change forced upon them and were left angry! confused! and bereft! My heart will always go out to them. Stories came to light about the people who didn’t catch their usual subway journey to work, had hospital appointments, forgot something and went home to get it and thankfully because of these incidents they are still alive! I imagine the shock of the events will always be with them, changing who they are along with having a sense of guilt because they are still here. When big events happen we always remember exactly where we were, what we were doing, who were we with, the time, the song playing on the radio. When such shocking and significant events happen people begin to question if they are happy in life, as if they are no longer can go on living the lie. I know several people who ended relationships, had complete career changes.. The world became a frightening place for many people, they wanted to live and experience things that for some reason they could before, questioning every existence! It happened in America therefore it could happen in there city or workplace. For many people counselling became a valid option, for those who had lost loved ones, bereavement counselling, for those who had survived- coming to terms with their survival along with PTSD, the emergency services -PTSD and for those who were affected by change of circumstances because their world changed and they questioned everything that they believed to be true. Thirteen Years on the war against terrorism is still ongoing! People are still fearful! Always wandering if the events of 9/11 could happen again. The world became a frightening place that day! BUT it also brought out the best in most people. After the events of 9/11 I questioned my world! It ended a relationship which resulted in a move back to Birmingham. At the time I couldn’t believe how an event that I was not directly involved in could change my world so drastically, and it is only now that I realise that it was a catalyst which made me look at my needs, wants and desires because if this could happen to all those people that day it could happen to me tomorrow and I haven’t experianced this! Live- Like heaven is on earth.